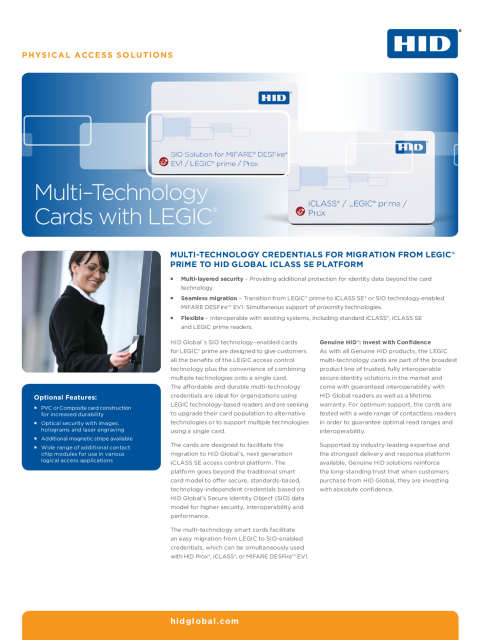 HID Global's SIO Technology enabled cards for LEGIC provides customers all the benefits of LEGIC access control technology plus the convenience of combining multiple technologies onto a single card (including support for 125 KHz proximity). The LEGIC cards are ideal for organizations moving from basic LEGIC prime 1024 to another high-frequency technology. 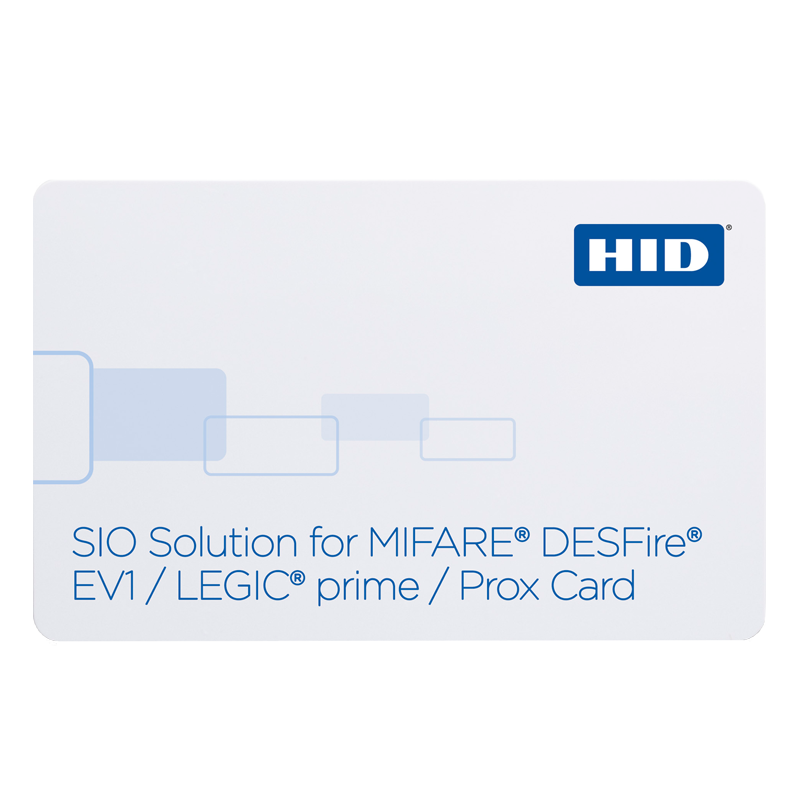 The cards are designed to provide seamless migration to HID Global's iCLASS SE® platform for a future-proofed solution that delivers higher security, interoperability and increased performance. The platform goes beyond the traditional smart card model to offer technology-independent credentials based on Secure Identity Object® (SIO™). Supports iCLASS SE platform with SIO Solution MIFARE DESFire EV1 as well as HID Prox and LEGIC prime 1024 in one credential. Interoperable with existing LEGIC prime readers. Complies with ISO/IEC standards for thickness and use with all direct image and thermal transfer printers. Available with magnetic stripe, contact smart chip and PVC or composite card body. Visual security, anti-counterfeiting features or a custom logo via (HID Secure Identity ServicesTM) are available upon request.